At Bainbridge weight loss and Seattle weight loss I understand the importance of this video, Killer At Large. Obesity is the terror within. As a nation we are 5 billion pounds overweight which is a preventable and reversible epidemic that is literally killing us and bankrupting us. Do we really want being fat as a way of life? Is fat and sick the legacy that we really want to leave for our grandchildren? At the Bainbridge weight loss hypnosis and the Seattle weight loss hypnosis program Slender For Life™ I am committed to helping individuals make the healthy lifestyle changes that will help them lose weight and keep it off. 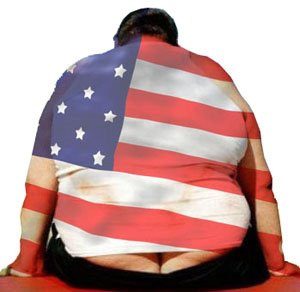 Weight loss hypnosis can change your life and save America. Obesity is fast becoming the single greatest killer of Americans, causing some experts to claim that we are on the cusp of an evolutionary disaster. Obesity rates in the United States are climbing at an unprecedented rate across all ages and ethnic groups and leading to the first generation of children whose life expectancy is shorter than that of their parents. KILLER AT LARGE uncovers this epidemic, examining the causes and suggesting way to reverse this deadly trend. It is shocking and shameful that as a society we have let obesity become so bad that our weight is killing us. How did approximately 72.5 million American adults become so obese causing heart disease, stroke, and diabetes? Obesity is expensive to treat. The estimated annual medical costs of obesity are as high as $147 Billion. On average, obese people have medical costs that are $1429 more than medical costs of normal weight people. Obese people are creating well paying healthcare jobs by eating themselves to death. With the Slender For Life™ hypnosis for weight loss program I am committed to helping you to lose weight and keep it off. You can have full ability to control your weight with weight loss hypnosis. Give me a call and change your life today. I have full ability to control my weight.